I've been trying to track a footage taken by my Samsung Galaxy Note 8.0 (GT-n5100) tablet. It has a good 5 mp camera and I tracked the footage well. But the problem arises at the time of solving the camera. The solve error is too high (more than 2). I don't know the width the tablet's camera sensor or the focal length or any other specifications. So my question is, has anybody been able to solve the camera on footage shot by a smartphone and if yes, what camera and lense specs did you feed to the Blender? 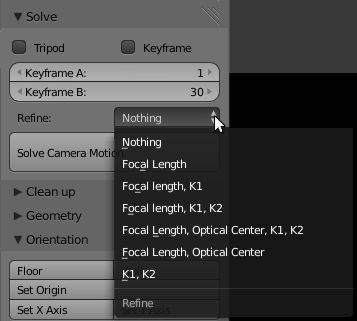 Once you do have a sensor size, blender can often do a decent job of calculating the focal length and lens distortion for us. Included in the tracking solve panel is a menu for refine options. To help reduce the error rate try and get the markers spread out as much as possible. Have markers in the foreground as well as the background, the floor and high on the walls. 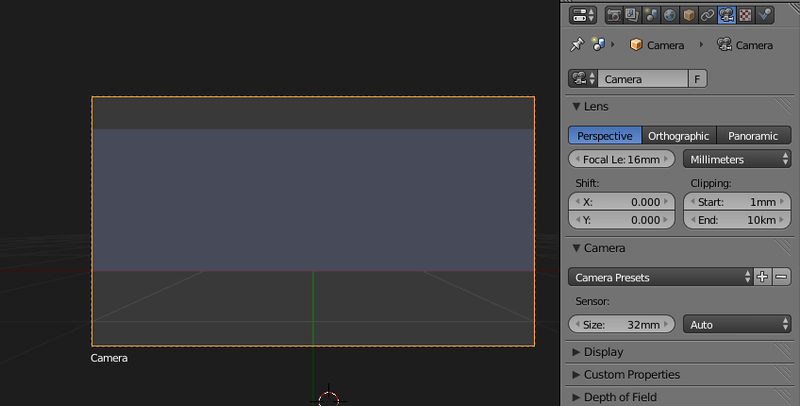 Let blender track the points, don't manually move the point to the location of the next frame. Try using different motion models (affine, perspective) match to previous frame instead of keyframe, disable colour channels or use black and white to get better contrast. Use the tracking graph editor to find points that jump around. And if you have any interest in joining the blender cloud, Sebastian does a good job of explaining the methods and options to get a good track in the first part of Track Match Blend 2 that is now available. For proper tracking you don't necessarily have to know the sensor dimensions or lens size. What matters is to determine the field of view or angle of coverage for your particular camera. That value can then be applied to any combination of sensor size and lens sizes. One way to get a good estimate of your camera's field of view it is to shoot video of an object of known dimensions, for example: a wall that you know is 4 meters wide. Using your camera, walk to the point where the wall fits perfectly in the frame. Then measure the distance from the wall to the camera (2 meters in this particular example). In blender create a solid that reproduces your wall and place camera at the measured distance from the wall. On the camera lens settings move the Focal Length numbers until you can see the wall filling the frame. You can then use those values (lens and sensor size) for your track. The perspective of your real camera and Blender's should match very closely for tracking purposes. Not the answer you're looking for? Browse other questions tagged camera tracking or ask your own question. How to determine lens undistortion values for motion tracking? Camera Tracking, What focal length to choose for a cell-phone cam if unknown? Anyone have camera specs for the iPhone 6 Plus? Movie Distortion Node in compositor does not respect optical shift values from Movie-Clip-Editor? Is it possible to motion track footage from an iPhone SE?